Here we listed some examples to demonstrate how Intervene can be used to generated different types of set intersection plots. 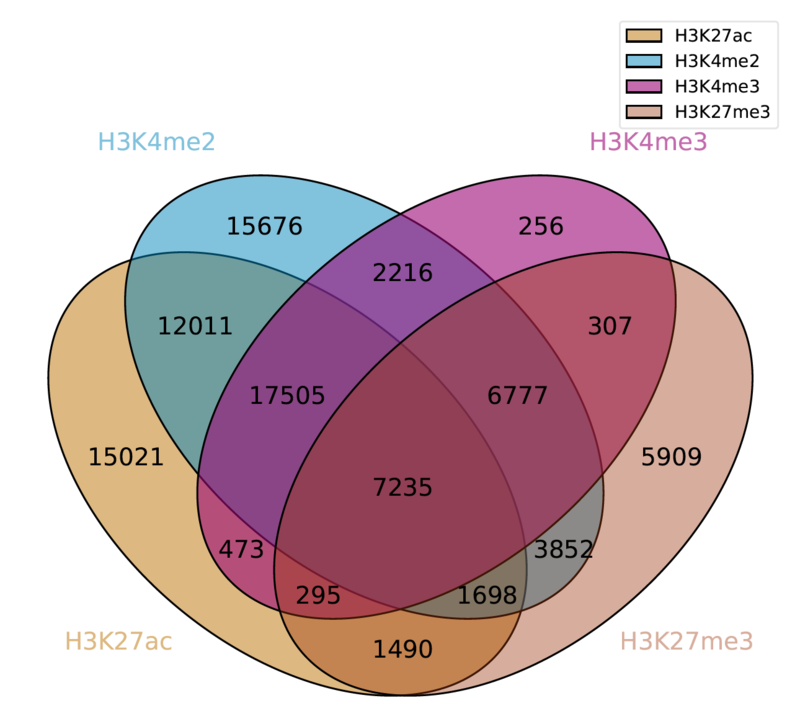 In this example, a 3-way Venn diagram of ChIP-seq peaks of histone modifications (H3K27ac, H3Kme3 and H3K27me3) in hESC from ENCODE data (Dunham et al., 2012). 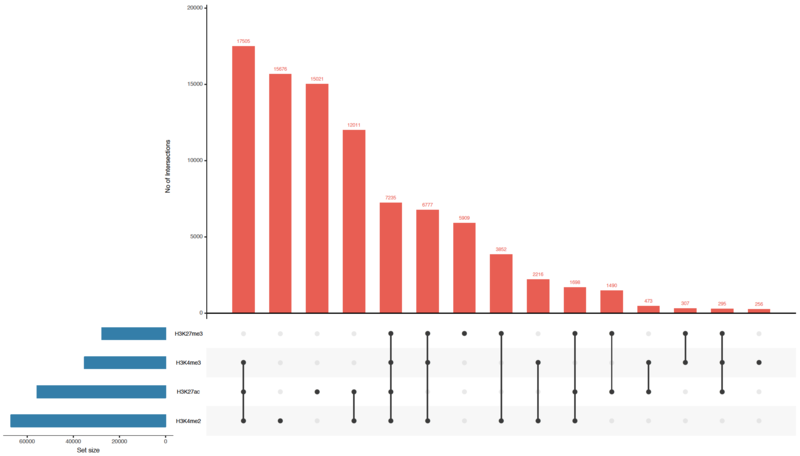 By adding one more BED file to -i argument, Intervene will generate a 4-way Venn diagram of overlap of ChIP-seq peaks. 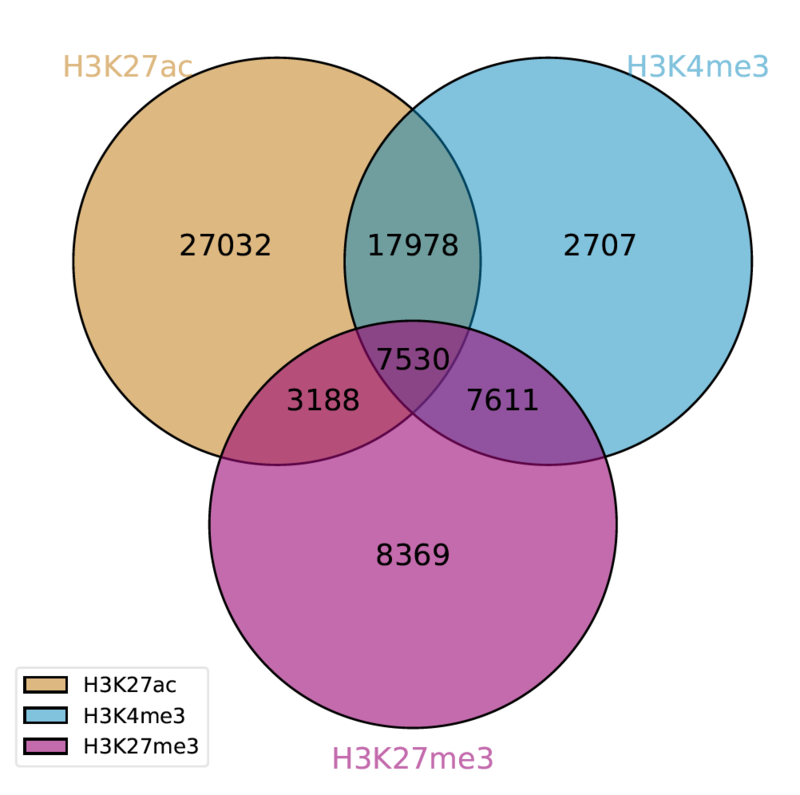 In this example, a UpSet plot of ChIP-seq peaks of four histone modifications (H3K27ac, H3Kme3 H3Kme2, and H3K27me3) in hESC from ENCODE data (Dunham et al., 2012). 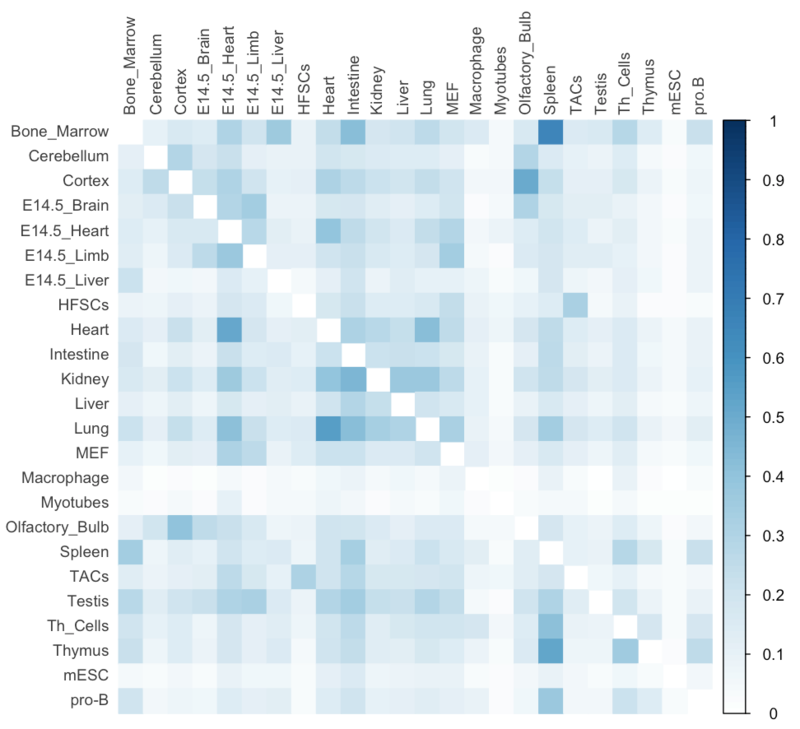 In this example, we performed a pairwise intersections of super-enhancers in 24 mouse cell and tissue types from dbSUPER(Khan and Zhang, 2016) and showed the fraction of overlap in heatmap. 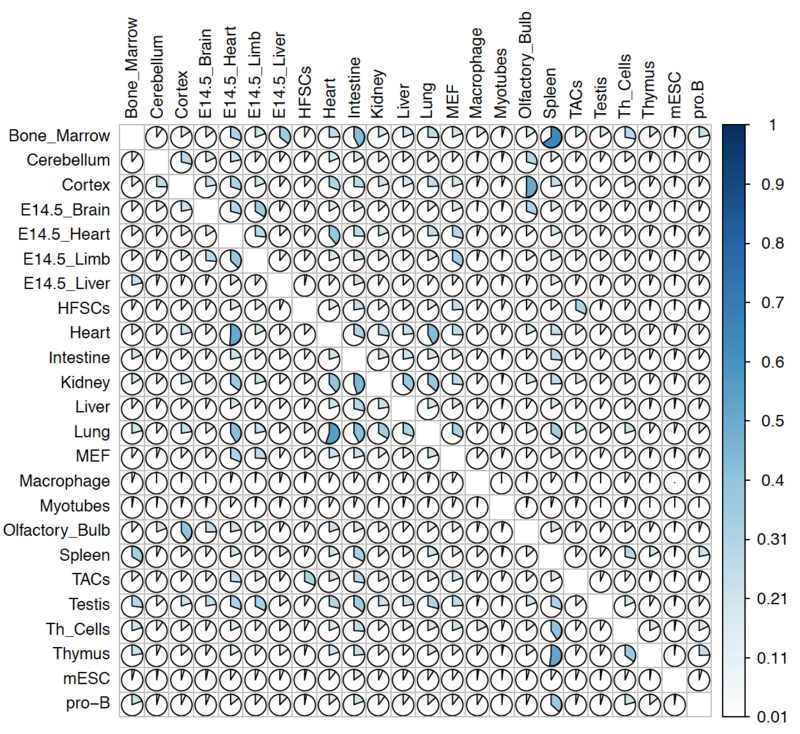 By setting the --htype to color will produce this plot.